The other woman in the title of Sandie Jones’ thriller isn’t an ex-girlfriend, a new affair or an obsessive stalker –though heroine Emily Havistock might welcome any of those rivals for the affections of Adam Banks. Instead, the conniving woman who wants to keep Adam all to herself is the one person Emily has no chance against — his mother, Pammie. A seemingly meek, physically weak and thoughtful mother, Pammie is a monster in disguise, who will do anything to keep her oldest son all to herself in this excellent debut. 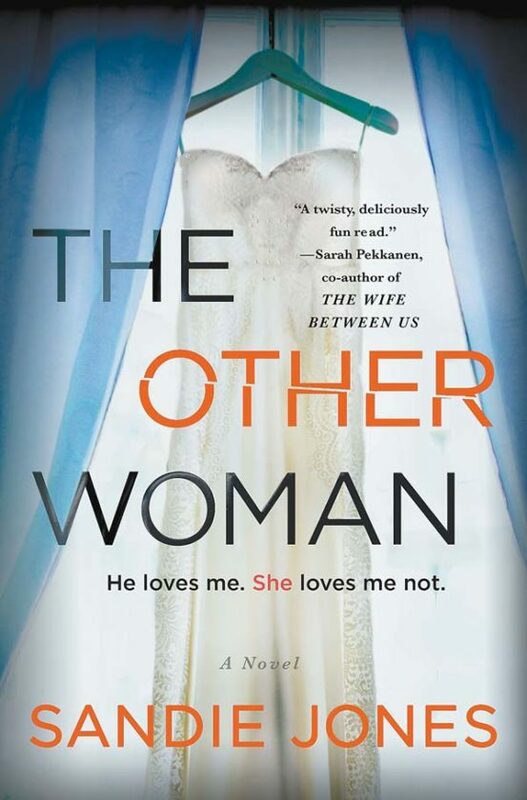 British author Jones delivers a tightly coiled story in “The Other Woman” and fills it with believable characters. Jones’ first novel showcases the limitless boundaries — and continuing appeal — of the domestic mystery while adding elements of the psychological thriller. proposes to Emily during a party, criticizing her wedding gown during a fitting, inviting Emily’s worst enemy on a trip and faking illnesses. Adam refuses to believe that his mother is anything less than perfect. Emily begins to wonder just what happened to Adam’s previous girlfriend who died in an accident and whose body was found by Pammie. Jones keeps “The Other Woman” on a brisk path as she delves into the motives of a homegrown monster. Yet Jones doesn’t go overboard developing Pammie’s character. Everyone knows someone whose compliments are veiled insults, or “a barbed snipe,” and whose neediness consumes the air around them. Emily’s love for Adam and her misgivings about him are believable. Although the ending feels rushed, Jones still keeps the story intriguing.